Have you heard about Matariki? Did you know that the Matariki celebration has been happening these last few weeks? If you get up at dawn you may be able to see the Matariki star cluster. 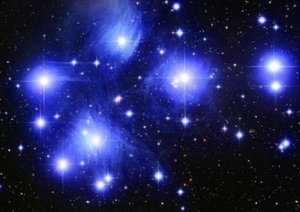 The Matariki star cluster is known as the Seven Sisters or the Seven Stars. If you see the stars and they are bright people often believe that it will be a good year to harvest crops, however if the stars were quite dull and not visible it would mean it would be a bad year for harvesting crops. Matariki is a Maori New Year. People celebrate it by flying kites, having a hangi, telling stories and more. But most importantly they have a big Matariki Festival where groups gather together to celebrate. Onerahi School has been learning about Matariki and welcomed parents and the Kiwi Kids early child care centre to our school. Students took them on a journey through the school and showed them some of the students’ great Matariki learning. The students would like to thank Kiwi kids, the school teachers/students and the parents who took part in this event. My name is Amara and I am a year six my favourite things to do are horse riding gymnastics and swimming. I like onerahi primary and my teachers.